We don’t assume it’ll take much persuading as to why you should study abroad in Australia. So, the only persuading needed is to drag you to board a flight taking you 14-17 hours out of your comfort zone. Another lure to Australia for American international students seeking the “perfect study abroad location” is the idea that they won’t face a language barrier. You may understand English, but that doesn’t mean you can comprehend a native Australian’s English. Hence, many American study abroad students note that they find themselves as confused as if they were in a country who speaks a foreign language. They are constantly asking people to repeat themselves and to explain their lingo and short hands. Australians speak quickly and have their own quirky take on English, but this just adds to their fun culture and to the learning experiences you gain abroad. Did you know about 80% of plants and animals found in Australia are exclusively unique to this country only? This fact alone presents a perfect learning enviornment for students studying a degree in the sciences. Australia has booming cosmopolitan cities filled with many global companies who have branches in Australia. This presents a lot of opportunities for internships and hands on business learning experiences. Or maybe you study law and want to get a tan in your spare time, Australia has 7 of the top 100 best universities in the world. The top 10 trending courses in 2014 were in education, both primary and early childhood, fine and visual arts, business, accounting, and psychology. The highest-ranked university in Australia is located in the capital city Canberra. It is the Australian National University (ANU) and has placed 22nd in the world in 2016-2017. ANU was home to nearly 23,000 students in 2015 and about 20% of these students lived on campus which attests to its thriving student culture. The University of Melbourne was established in 1853 making it one of the Australia’s oldest universities. It ranked 42nd in the world and is now home to over 47,000 students. 12,000 of these students are international from 130 countries. The university is highly reputed for its research, with over 100 research centers and institutes and a research expenditure of $850 million a year! Melbourne is one of the ‘up-and-coming’ cities in Australia and offers an authentic Aussie lifestyle, some of the best beaches, and the friendliest people. The original Australian University founded in 1850 is the Univeristy of Sydney. It currently ranks 46th in the world and has been repeatedly on the list of the world’s most beautiful universities. Of course Sydney is the most popular Australian city with its temperate climate and harbour that hugs the boarder of the city walls. It is also known to be a very internationally friendly city and makes a perfect location for any and all study abroad students. Other really great cities to check out that are more “off the radar” are Perth, Brisbane, and (once again) Melbourne. A valid passport is necessary to enter Australia. This is your first step to fulfilling your study abroad dreams. Secondly, you must apply for a student visa. 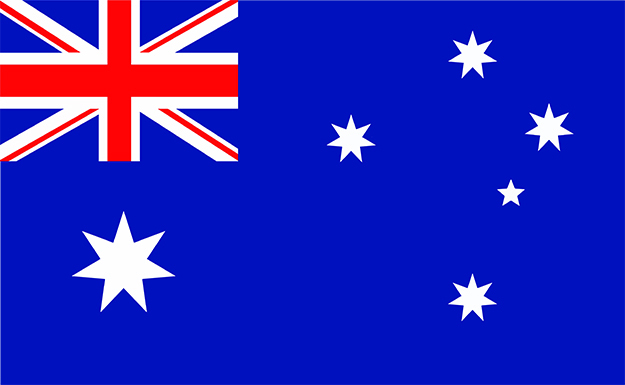 In Australia, the visa is a Subclass 500 student visa. This visa allows you to stay in Australia to study full-time in a recognized education institution. There are specific qualifications you must meet to apply. • Certificate of Enrollment or Letter of Offer (acceptance letter from Univeristy). What’s unique to Australia’s Student Visa is that with it you may work up to 40 hours per fortnight during your term time an full-time on the holidays. So, you do not have permission to work automatically when you get a visa. You may begin to work when your course has officially started.